You’ve probably heard of the terms soffit and fascia when dealing with roofing concerns. In today’s post, Sterling Exteriors explains the function of these two roofing components and the role they play in your roof’s performance. Soffits are found on the underside of the exposed roof rafters, connecting the exterior wall of your home to the roof overhang. One of the primary roles of the soffit is attic ventilation, which is why a soffit typically has small holes in it. This feature allows air circulation in the vents, effectively drawing heat and moisture away from the attic space. Soffits are usually made of aluminum, vinyl, fiber cement, wood or steel. The soffits also protect your home against rain that might swirl up under the eaves of your roofing system. In anatomy, fascia refers to a connective tissue. In architecture, the fascia of a roof functions as a connective tissue as well. If you look up at your roof, you’ll most likely see a horizontal band covering the edges of the exposed rafters. This horizontal band is called the fascia. It runs along the roofline, supporting the lower edge of the bottom row of roof tiles. Your gutters are attached to the fascia. Fascia boards are typically made of wood, vinyl, aluminum or plastic. The Fascia boards contribute to both the form and function of your roofing system, as they are visible from the street and can enhance the beauty of your roof, while also protecting it from moisture. Both the soffits and fascia play important roles in your roof’s functionality and visual appeal, so you need to ensure they’re installed and maintained by an experienced professional. 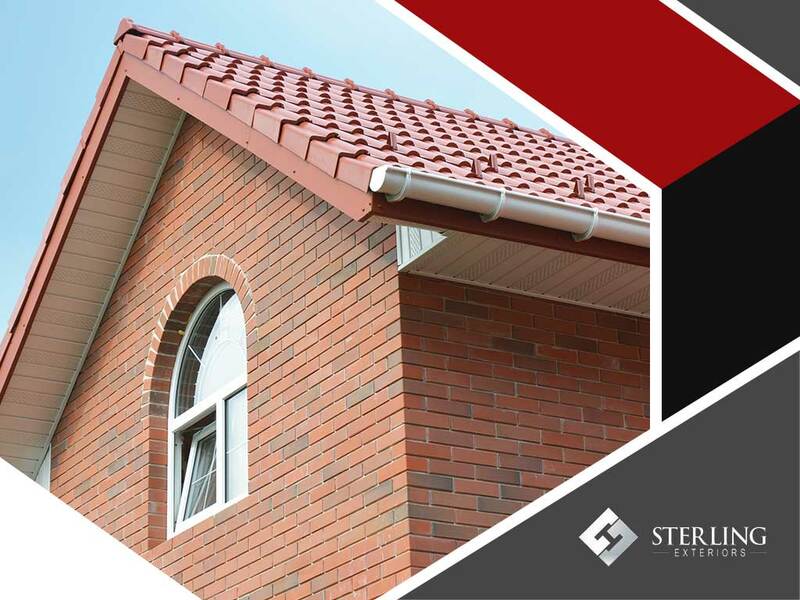 At Sterling Exteriors, we understand the importance of all roof parts. Turn to us for all your roofing needs. You may call us at (513) 322-4777. We cater to commercial and residential properties in Cincinnati, Loveland and Newtown, OH.